I’ll start by stating the obvious--the arrival of the digital age over the last 15-20 years has been nothing short of revolutionary in its impact. The Internet has fundamentally changed the way people access information, and the effects on museums, historical societies, archives, and libraries has been profound. By and large, researchers are no longer compelled to visit ‘brick and mortar’ locations to access the information they seek. Genealogists were long dependent on historical societies and libraries for unique content--most of which can now be found on ancestry.com. To survive, our field has been forced to adapt. Smaller organizations, especially, have little choice other than to change or face extinction. That said, I am convinced that organizations like ours can continue to play a vital role in their communities. While nonprofits of all stripes need to be nimble in today’s marketplace, I’ll focus on what I know best—the experience of small museums and historical societies. But the lessons here should be applicable across many organizations. Community service is at the heart of most small museums. Most draw their visitation and support from the immediate locale or a specific interest group; few are compelling enough to bring in the throngs of tourists envisioned in the literature touted by our local Tourism Promotion Agencies. Rather than focus on bringing busloads of foreign tourists through the doors, I think it makes more sense for small facilities to innovate within the ‘box’ that defines their community. The Internet is a virtually limitless source of content but not context. Say what you will about the value of online ‘communities’, they are no substitute for face-to-face interaction. Our public programming presents an opportunity to unite visitors via a common experience or dialogue. History exhibitions that link the past with the present are great tools to illustrate an organization’s relevance to the community. The redevelopment of inner cities and downtowns which were virtually abandoned in the 1960s and ‘70s occurs in the context of promoting identity. No matter how small our institutions are, we can contribute to this new approach to urban renewal by providing stories, images, and property information that reflect an area’s values and/or experience. Doing so via exhibitions provide visitors with opportunities to engage in dialogue that might not occur in an online or offsite setting. People still desire to come together to discuss topics of mutual concern. Organizations like ours remain a great venue for authors, subject matter experts, artists, and enthusiasts to interact with a live audience. Welcome them, frequently. Don’t shy away from hosting political debates. Ask to host naturalization ceremonies for new citizens. More than anything, promote your organization as a vital physical and cultural resource in the community. While times and technologies change, access to collections remains vital to museums. Directors, curators, and designers (often, these are the same person) are constantly challenged to share their materials in new and innovative ways. Traditional exhibits and conducting paper-based research haven’t fallen completely out of vogue, but both have been somewhat marginalized in the digital age. The internet has been so pervasive in its reach that to deny its impact is counterproductive. The need to digitize our collections should be self-evident. In the ‘old days’ (like the 1990s...) this involved contracting with a firm to photograph and transfer documents onto microfilm. While this is still done, albeit digitally now, the proliferation of low-cost, highly capable scanners has seen this process move in house. At my organization our digitization effort began a decade ago, and the impact has been profound. Since 2009 we have scanned over 30,000 images. They were in all formats—prints, nitrate film, glass plate negatives, and more. The main archive is housed on our server with backup copies on DVD. One set of disks is housed on site and another is in a safety deposit box at a local bank. The originals are preserved here, too, but since they were scanned they have been virtually untouched. What to do with original documents after they are digitally preserved is a topic for another article. We have also digitized our entire newspaper archive and are now plowing through our manuscript collections, estimated to be over a quarter million documents. 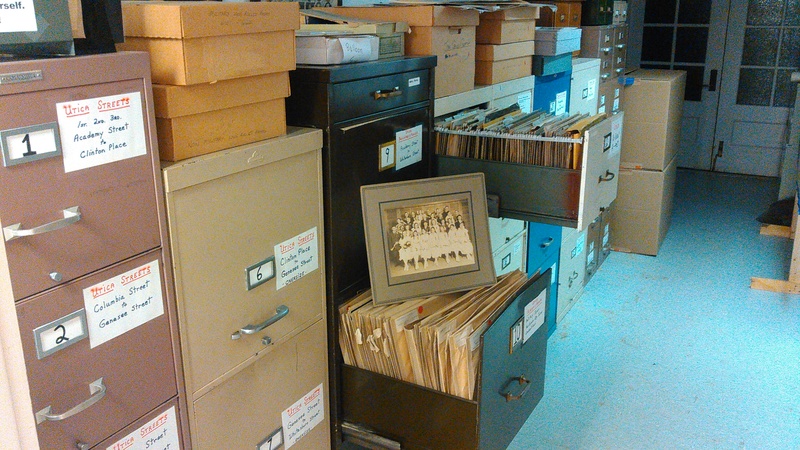 Like our photo collections, there has been little need to access the original papers since digitization. Their most prevalent use has been in our exhibit galleries, where use of original materials is the priority. It should be noted that all the scanning and organization has been completed with our volunteers. Television—We provide images for a “Hidden History” segment on our local ABC affiliate, airing weekly on their evening news broadcast. Social Media—Our vast holdings provide the basis for regular posts on our Facebook, Instagram, and Twitter pages, reaching over 6,000 followers. Print—We provide articles and images for two local magazines—Mohawk Valley Living and Greater Utica—published monthly. Local newspapers also use our images. 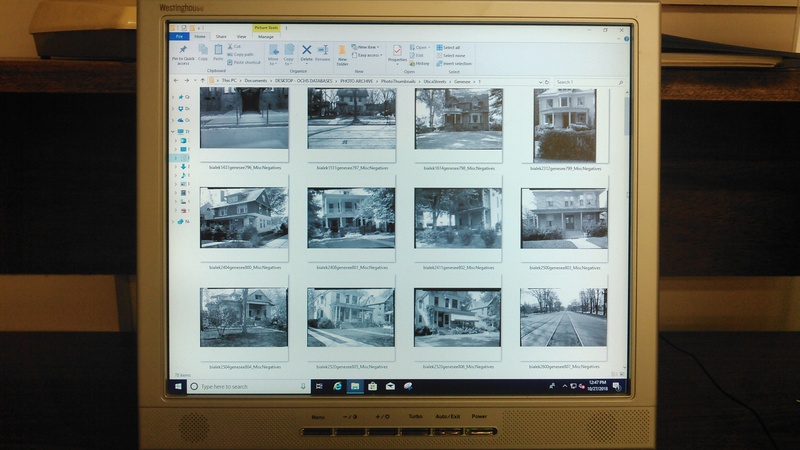 Property Research—The revitalization of our local downtown has seen many property owners in our library, reviewing our digital archive for pictures of the buildings they are rehabbing. Infrastructure—The City of Utica and the New York State Department of Transportation have both made extensive use of our digital holdings in local or regional improvement projects, including the creation of a roundabout in downtown Utica and the rebuild of the Route 5/8/12 Arterial, which is the main roadway through our area. 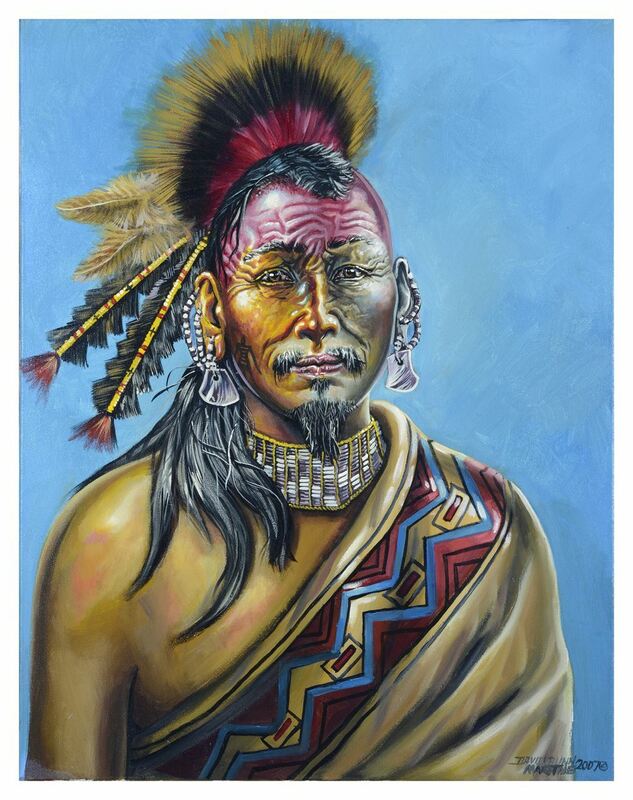 Businesses—We have generated substantial revenue via the sale of high-resolution prints to local businesses, restaurants in particular, who have adopted a historical theme in their décor. Books and Merchandise—Over the last few years we have published several books in house, making extensive use of our photo collections. 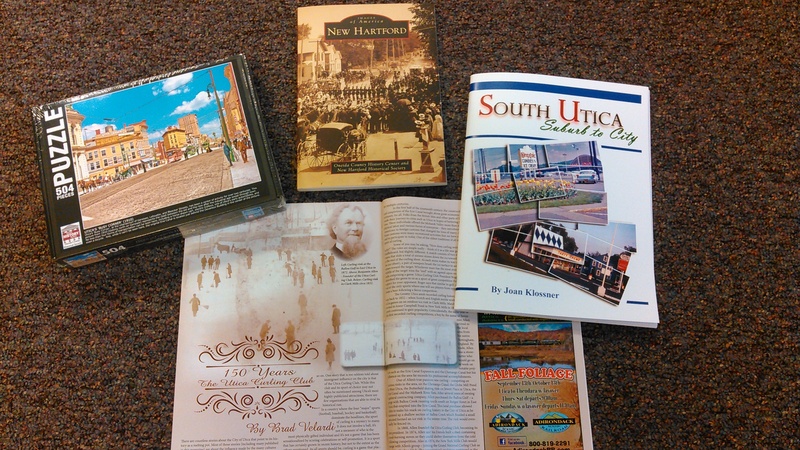 We are also a primary source of images for other authors writing about the greater Mohawk Valley. Very little of what I described above would have been possible without electronic access to our holdings. While it may sound daunting, the digitization process has been relatively easy to implement; it takes time but it is not complicated. While small museums and historical societies are constantly resource challenged, that does not mean that they cannot be vital and relevant to the communities they serve. I encourage every organization like ours to take a proactive approach and embrace technology, and reap the resulting benefits. Please contact me if you have any questions! The deeper root of this question lies in one thing: a museum’s resources. How can a museum use its resources – human or otherwise – to make their collections, exhibitions, and staff accessible to the diverse communities they serve? At the Joseph F. and Helen C. Dyer Arts Center at the National Technical Institute for the Deaf (NTID) in Rochester, NY, the staff faces the challenge of understanding how to properly utilize all available resources in order to create a safe, open, and diverse space for the deaf community – and all the various communities in Rochester – head-on. 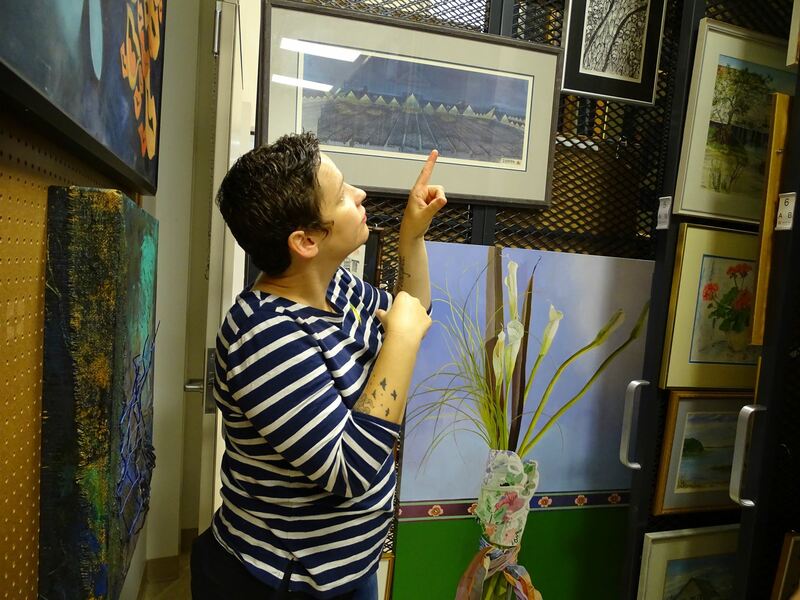 The Dyer Arts Center opened its doors in 2001 with a mission of showcasing artwork created by students and alumni of NTID, along with works by nationally and internationally known artists, all of whom are deaf, hard of hearing, and allies of the deaf community. Besides the Gallaudet University Museum in Washington, D.C., the Center is the only arts center in the United States whose sole focus is collecting and exhibiting artwork by deaf individuals. 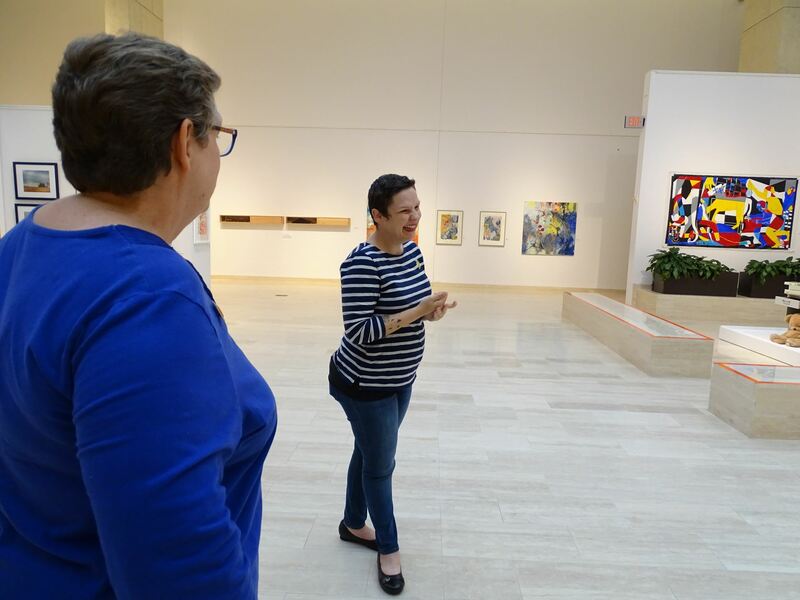 As of this year, the Center’s permanent collection is home to over 1,000 pieces created by deaf or hard of hearing artists – the oldest piece in their collection is from 1925. This semester, the Center is home to three different exhibitions, each of which take inspiration from the idea that the Center is a space for the deaf to manifest pride in their community. The first exhibition, 50 Artists 50 Years, the NTID 50th Anniversary Art Exhibition, opened this summer in celebration of the NTID’s 50th anniversary. 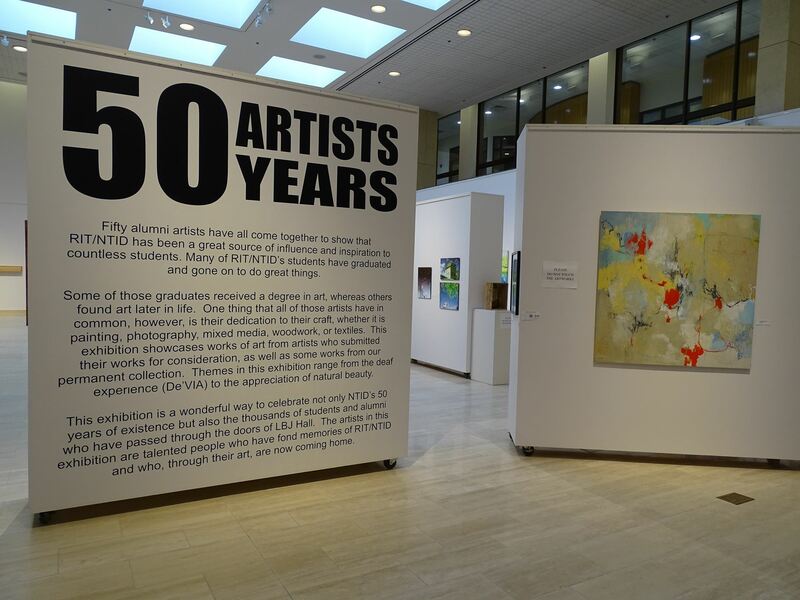 Located in the Elizabeth W. Williams Gallery (the Center’s main exhibition space), the 50 Artists 50 Years features art created by 50 different NTID alumni artists, along with pieces from the Center’s permanent collection. This exhibition, along with a mural by NTID alumna Susan Dupor on display in the Glass Room, will close October 20. 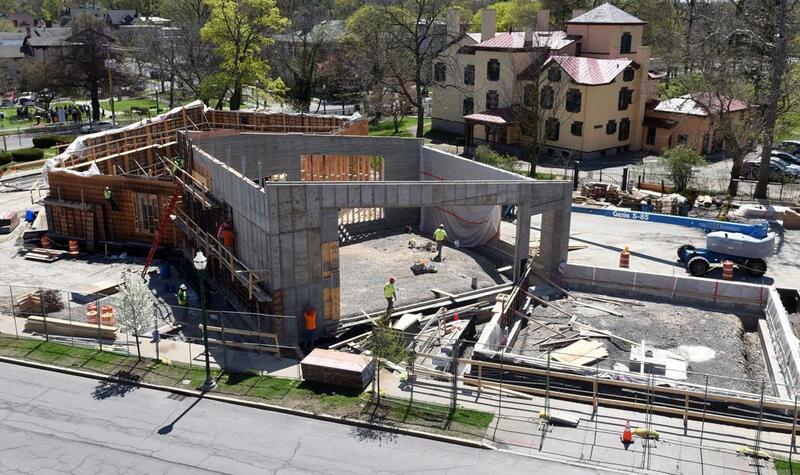 For the second half of the semester, the Center will zero in further on the theme of pride and accessibility with two new exhibitions, Cultivating Connections and 6x6 Deaf Pride. Cultivating Connections, which will open November 2 in the Williams Gallery, will be a celebration of the Rochester community as a whole. “We have solicited artwork from anyone in the Rochester community, deaf or non-deaf,” Jacques says. “The point is to have a diversity of artwork representing the collective of Rochester.” Jacques’ initial plan for the exhibition was to focus solely on local deaf artists, she says. “But then I thought, ‘Well, why am I now siloing the deaf artists from the Rochester community?’” Because the Center is primarily an exhibition space for deaf artists, up to 50 percent of the artists exhibited in Cultivating Connections will be deaf or hard of hearing, while the rest of the artists will be anyone from the Rochester community as a whole. The Center’s third exhibition of the semester, 6x6 Deaf Pride, also opening November 2, will take a similar approach to engaging the community as Cultivating Connections by inviting deaf and hard of hearing artists, interpreters, and allies to submit small, 6x6 artworks that focus on what deaf pride means to them. 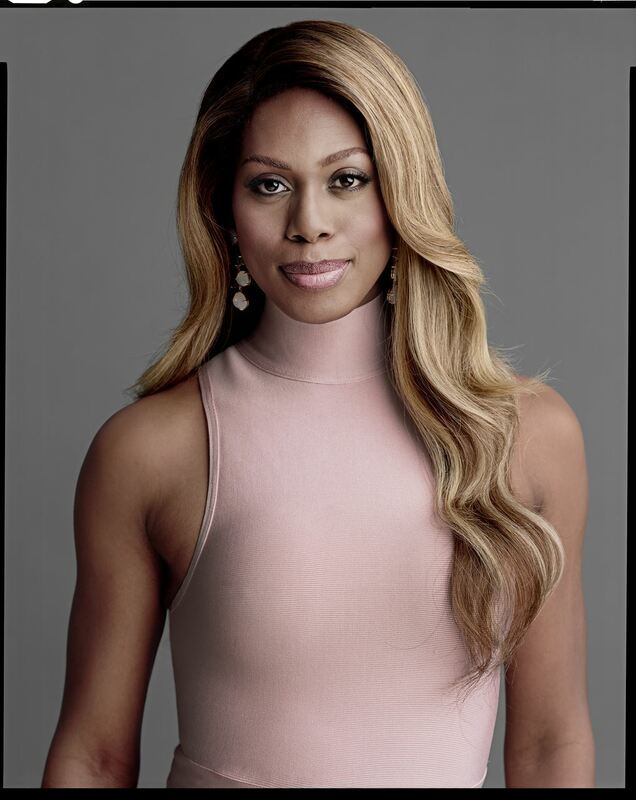 “I wanted to give the opportunity to ask people, ‘Why don’t you represent yourself? Who are you as a member of the community?’” Jacques says. All of the artwork displayed will be up for sale, with the proceeds going directly to the Center. This block, Jacques says, has had a serious impact on the actual amount of cultural education available to deaf people, nor have there been any solid methods for documenting and collecting art by deaf artists. “For me, I feel like this is a necessity. We have to do it,” she says. The RMSC listened to the feedback from Jacques and her team and added information about deaf gain to their prototype. “I was so appreciative because they were very open-minded,” Jacques says. “They wanted our feedback, they wanted our input, they wanted to partner with us, and they wanted to recognize deaf people because they do know that deaf people are critical mass here in Rochester. So, to circle back to the question that all museum leaders are asking themselves in an age where the recognition of diverse identities is directly correlated to a museum’s accessibility, how can we make our museums more accessible to everyone, and why should we? The first and most important step, as both Jacques and the RMSC have shown, is to be open to accepting and listening to oft-forgotten voices. 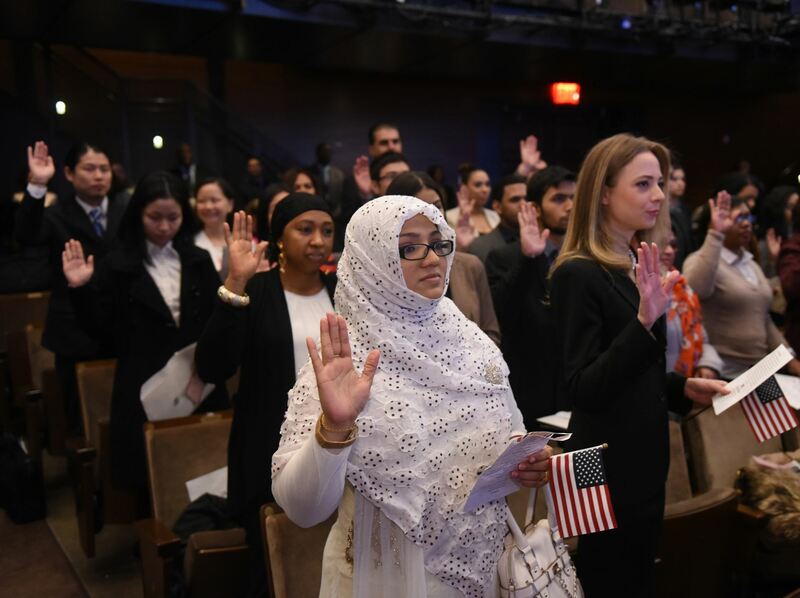 The idea of marrying the N-YHS’s mission to promote a love for history through education and programming with the USCIS naturalization test was, for the N-YHS, the logical next step in their goal to engage the communities they serve. “We have a long history at the New-York Historical Society of telling untold stories, and we also have a long history of teaching over 200,000 schoolchildren [American history] each year,” says Jennifer Schantz, Executive Vice President and Chief Operating Officer at the N-YHS. Schantz also handles all legal affairs for the N-YHS and oversees the Citizenship Project. The N-YHS’s long history of preserving New York history and promoting education stretches all the way back to its founding in 1804, when it became the first museum to open in New York State – in fact, their museum predates the founding of the Metropolitan Museum of Art by 70 years. According to their website, the eleven founders of the N-YHS lived through the American Revolution; their experiences living under British occupation led them to believe that “New York’s citizens needed to take decisive action to preserve eyewitness evidence of their own historical moment.” The founders feared that “’dust and obscurity’ would be the inevitable fate of accounts and artifacts if left in the hands of private individuals,” and thus, the N-YHS was born. Now, the N-YHS is bringing the founders’ original mission of preserving history and telling the American story to the 21st century with the Citizenship Project. “It’s a perfect project for us,” Schantz says. Here’s a little background behind the core inspiration for the Project – helping aspiring New Americans become citizens: By the end of 2017, there was a backlog of nearly 730,000 pending naturalization applications at the USCIS, according to a report from the National Partnership for New Americans, an alliance of immigrants’ rights groups. In 2017, there were over 925,000 applications for naturalization submitted to the USCIS, the report says. To put that into perspective, the USCIS naturalizes approximately 700-750,000 immigrants as citizens each year; 716,000 New Americans were granted citizenship in 2017. These numbers are indicative of the times aspiring New Americans are living through – with the change of immigration laws and an increased divide on the debate of immigration to the United States, the pressure to obtain citizenship is higher than ever. But with the help from the N-YHS, the daunting task of applying for citizenship, taking the 100-question exam, and waiting to hear from the USCIS is made easier. In addition to their on- and off-site classes and the upcoming online course, the Citizenship Project’s team of educators has also begun offering teacher-training courses in partnership with the USCIS. In April, the N-YHS hosted an all-day training with the USCIS for other community organizations and museums who wanted to bring the educational methods the Citizenship Project’s educators use in their own programs. Photos courtesy of Don Pollard. How long have you been working in museums? I have been working in museums for 10+ years in various curatorial capacities. What made you want to be a curator? I knew I wanted to work in museums from a very early age. I have always been curious about history. Fun fact: I began volunteering for the Carnegie Museum of Natural History when I was about 10 so it is never too young to start! Joking aside, the path to being a curator isn’t always easy and I would say that the reason I stayed on the path was due to a number of mentors who have, over the years, provided encouragement and support in ways that have deeply affected me and I am grateful from their support. What’s your favorite thing about being a curator? Hands down, my favorite thing about being a curator is that I get to tell and share stories through the display of art and the creation of catalogs. I genuinely believe that it is through the making of art and the sharing of diverse stories that communities become stronger and strangers become allies. Although I have a sophisticated understanding and passion for art and culture, I like to play with the idea of expertise by promoting a variety of voices in order to make the arts accessible to a more diverse audience. A few ways that I do this is through the display of both popular and fine art forms, a prioritization of accessible language in the galleries, and through more playful types of programming that challenge the format of the stuffy lecture. When did you officially start at the Dorsky? I began my position as Curator of Exhibitions and Programs about a year ago, Fall 2017. What’s it like working in a university museum? Early formative experiences, youth programs in fact, opened the door to a career where, from my position of privilege in cultural institutions, I have been able to provide safe spaces for people through the conduit of exhibitions and programs. One of the main reasons I accepted this position was because I knew that I would be working for and with a diverse student body. At SUNY New Paltz, where the student body is majority minority, I want to say to the students that The Dorsky sees them and that we value diversity and inclusion and that it is important to me that this be reflected in our programming. Tell me about the exhibitions coming up this semester at the Dorsky. This semester we are opening three new exciting exhibitions: Timothy Greenfield-Sanders: The Trans List, an exhibition by the acclaimed photographer of 40 portraits of transgender individuals curated by me; Alive and Yelling: Trans Zines and Radical Subcultures curated by two SUNY New Paltz students in conversation with and in reaction to The Trans List; and Community and Continuity: Native American Art of New York curated by Gwendolyn Saul and John P. Hart of the New York State Museum. Additionally, on view are works from our permanent collection and Time Travelers: Hudson Valley Artists 2018. David Bunn Martine, Mandush, Shinnecock Sachem of the 17th Century, 2013, acrylic and oil on canvas, courtesy the New York State Museum. What’s your vision for the 2018-2019 school year? My vision for the upcoming school year is to create exhibitions, programs, and publications that prioritize alternative narratives–projects that aim to not only bring visibility to diverse identities, but empathy, understanding, and acceptance. What’s the most exciting exhibition and/or program happening this semester? 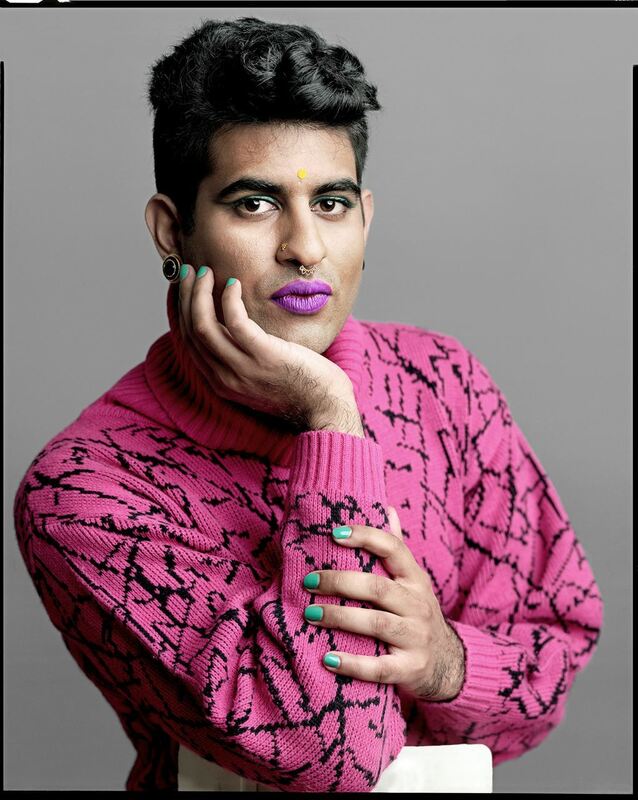 Timothy Greenfield-Sanders, Alok Vaid-Menon, 2016, inkjet print, courtesy the artist; Timothy Greenfield-Sanders, Laverne Cox, 2015, inkjet print, courtesy the artist. Do you have a favorite exhibition you’ve worked on since you started working in museums? Oh, there are so many! I have been so privileged to work on exhibitions and publications with an incredible group of artists. As I continue to develop my curatorial voice, it has become a priority for me to exhibit artists whose practice turns a critical eye on subjects of identity. Most recently, my retrospective, “Cary Leibowitz: Museum Show” which travelled from the Contemporary Jewish Museum, SF to the ICA Philadelphia and then the CAM Houston featured 30 years of work that seamlessly blended comedy and neurosis in such a way that questions about identity become a commentary on the self/other. In addition to curating, I have also edited a number of books including “Billy Name: The Silver Age, Works from Andy Warhol’s Factory” and “Brigid Berlin: Polaroids.” I see my editorial work as an extension of my curatorial practice and the process of making a book is very similar to curating an exhibition in that it requires prolonged engagement with an artist or their work which is something I find extremely rewarding. Tell me one fun fact about yourself – museum/art-related or otherwise! My first job in the art world involved cataloging Andy Warhol’s underwear. Learn more about the Dorsky’s current exhibitions here. A couple of weeks ago we sent out the call for proposals for our 2019 Annual Conference. In case you missed it, you can find the call and the proposal form here. I hope you will take a few minutes to read the call and think about the ways in which your experience and your voice can help strengthen us all as museum professionals. We selected Cooperstown, the historic Otesaga Resort and Hotel, and Mohawk Valley cultural institutions for our conference because of their deep roots in American history and the arts. There will be great food and drink, a phenomenal lakefront view, and 400 museum professionals - who could ask for more? We received hundreds of pages of comments about last year’s conference, including that 90% of Rochester attendees were likely to come to Cooperstown. People attend the MANY conference because it is aspirational and inspirational. It helps people connect with colleagues and learn about new approaches they can bring back to their organizations. We look to include sessions that give useful, practical guidance, build skills in content areas, explore new philosophies, and shift ways of interpreting collections. Proposals for Access & Identity are due October 24, 2018. You can download the call for proposals here and the proposal form here. Feel free to pick up the phone and call us to talk about a proposal or the conference. We love to hear from you! I’ll start the month of October at the Long Island Museum Association’s Roundtable at the Long Island Children’s Museum on the first. On the 4th, I’ll be at the Edward Hopper House Museum and Study Center in Nyack at MANY’s Mid Hudson Meet-Up at the Hopper House. 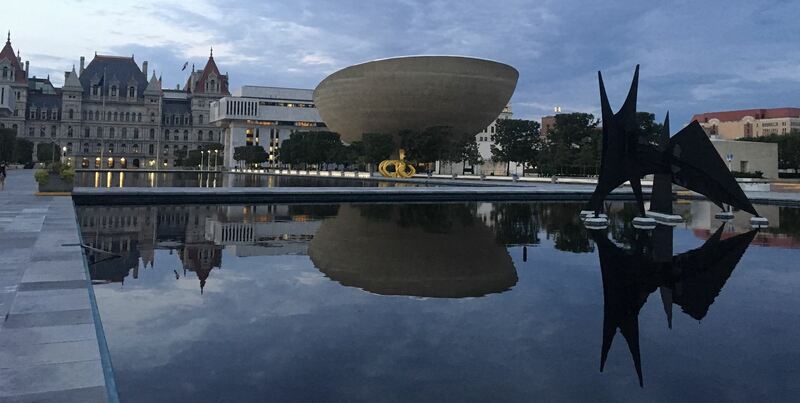 On the 10th in Syracuse, I will participate in the “How to Facilitate Community Conversations with Humanities New York” workshop at the Erie Canal Museum, tour the museum, and welcome colleagues for our Central Region Meet-Up. Coming from the education and development side of museums, my most recent learning has been in exhibition and facilities design. I am beyond excited for our behind-the-scenes tour at Hadley Exhibits on October 11th in Buffalo. I hope that you can join us there for our tour, Meet-Up, and special workshop, “How to Write Labels Your Visitors Will Want to Read,” led by Erin Doane, Curator at the Chemung County Historical Society. Growing up on Manhattan Island with the East River outside my window, I learned at an early age that water both connects and separates us — we crossed New York Harbor on bridges, through tunnels, and stood at the back of the Staten Island Ferry, watching the skyline fade. At the New York State Canal Conference October 14-16 on Staten Island, participants will celebrate the role that New York Harbor has played in the success of the State’s historic inland waterway system. 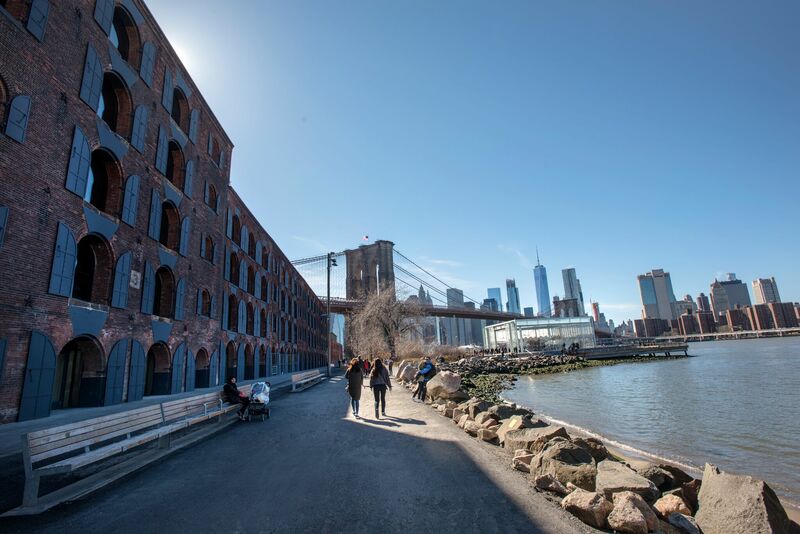 On Tuesday, October 16, we will continue our waterfront celebrations at the Brooklyn Historical Society’s new DUMBO location with a Humanities New York workshop, a tour, and a Meet-Up with the Brooklyn Bridge acting as a backdrop to frame our conversation. From the 140th annual meeting of the American Folklore Society in Buffalo, to the Re-Visioning Change workshops in the Southern Tier and Capital Regions where the most highly rated presenters from our annual conference will reprise their presentations and interactive programs for colleagues who couldn’t make it to Rochester, MANY will be present all season to help shape the future of our profession. I’d love to hear from you if you will be learning alongside me this October! Send me an email and let me know where I might find you in the next chair or gallery. “We’re at a really exciting phase in our history,” Ely says. The Brooklyn Historical Society has been an institution of Brooklyn for 155 years. Founded in 1863 in the middle of the Civil War by prominent Brooklyn residents as a collecting institution, BHS (then called the Long Island Historical Society) has grown and evolved into a thriving urban history center that brings Brooklynites and visitors alike together to learn and celebrate the rich and unique history of New York City’s largest borough. Throughout its history, BHS has borne witness to the ever-changing landscape of Brooklyn, from its tremendous growth as a rural center to one of the most well-known cities in the United States. In 1881, the Society opened their landmark location at 128 Pierrepont Street, a Queen-Anne style building designed by renowned architect George Browne Post, where they’ve resided ever since. But in 2017, BHS decided it was time to continue their growth in new ways, opening a second location in the Brooklyn Bridge Park in DUMBO. “One of the really interesting things about the DUMBO location is where it’s housed,” Ely says. BHS DUMBO is nested in the newly renovated Empire Stores, an historic warehouse that brings back memories of Brooklyn’s historical nickname as the “Walled City,” because of the brick warehouses that lined the city’s coastline. Empire Stores is one of the last remaining 19th-century warehouses in Brooklyn that retains its original features. At a time when Brooklyn was one of the largest commercial waterfronts in the world, the warehouse was home to “countless tons of coffee, sugar, jute, animal hides, and many other commodities,” according the BHS website. “Waterfront,” which Ely says is a very ambitious long-term exhibition, is the first major exhibition specifically dedicated to telling the history of Brooklyn’s coastline. The exhibition and multimedia experience opened in January of this year, and so far, she says, people love it. 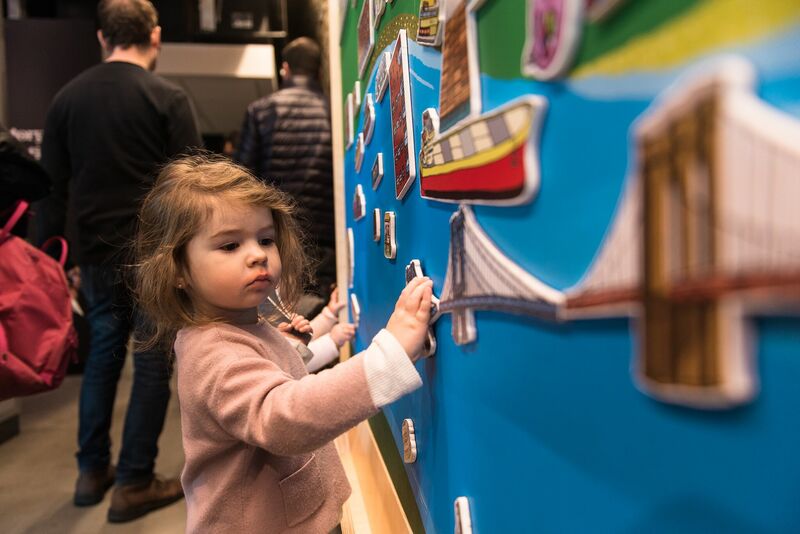 The exhibit space isn’t large – in fact, BHS DUMBO itself only takes up 3,200 square feet of space in the Empire Stores – but its multiple levels expand its potential far beyond that of physical space. “It has lots of nooks and crannies,” Ely says. Take, for example, the exhibition’s two digital installations: “At Waters Edge,” an eight-minute multimedia experience and video that tells the history of Brooklyn’s waterfront, starting over 20,000 years ago with the glacier that formed the Brooklyn coastline; and “History in Motion,” an interactive video that lets visitors insert themselves into Brooklyn’s past using Kinect technology. “I think one of the nice things about this exhibit is that you can literally spend 20 minutes or you can spend three hours here,” Ely says. 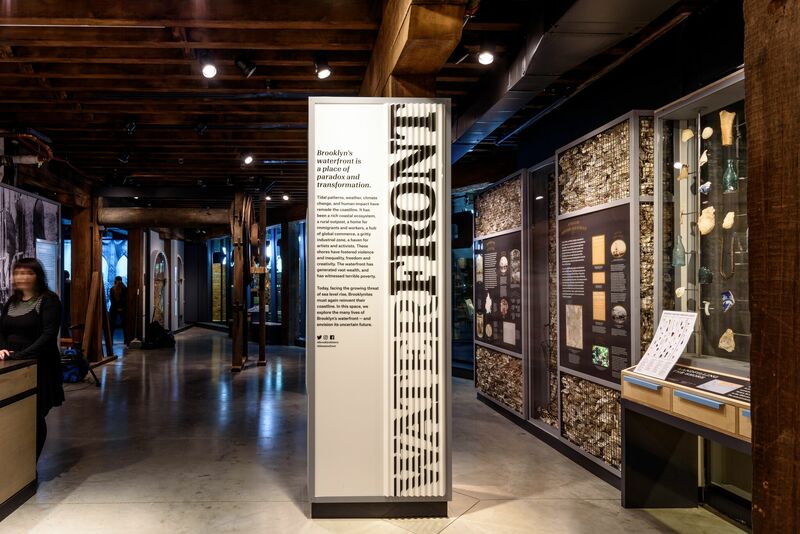 Whether visitors want to explore an installation of archaeological artifacts that were excavated from the landfill underneath Empire Stores in the 1970’s, or listen to the BHS’s impressive collection of oral histories from “Brooklynites of all kinds,”that won a 2018 MANY Award of Merit for Innovation in Collection Access, or even play with the Waterfront Neighborhoods Magnet Wall, a kid- and adult-friendly ten-foot magnetized landscape that invites visitors to reimagine the coastline, there is truly something for everyone in DUMBO. 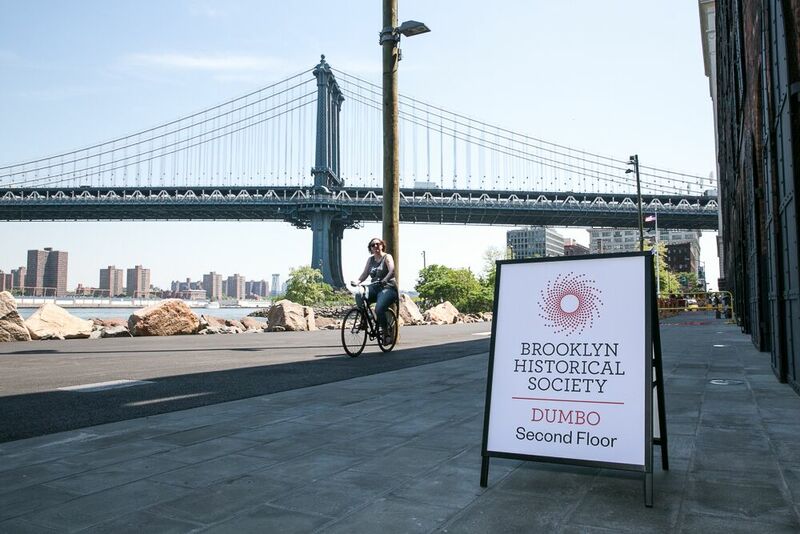 The Brooklyn Historical Society: DUMBO will also be hosting the Museum Association of New York’s seventh Meet-Up of the fall on October 16, 2018. Registration is open here. Words by Sarah Heikkinen. Photos courtesy of the Brooklyn Historical Society. “Everybody can play a role in making a difference in saving animals from extinction,” says Pamela Reed Sanchez, President and CEO of the Zoo. “We can all be conservationists, we can all be environmentalists.” This message of inclusivity is what has propelled the Zoo forward into a brand-new chapter since 2016, with a complete overhaul and transformation of the Zoo’s brand and an exciting capital campaign that will fund a long-awaited expansion. But, Reed Sanchez says, none of these new developments at the Rochester-based zoo would be possible without the support of their community. “You have to have a wide swath of the community aware of what you’re doing and in support of what you’re doing if you’re going to be successful in a campaign,” she says. When Reed Sanchez stepped into the role of President and CEO of the Zoo four years ago, she brought with her over 20 years of experience in arts and cultural development and strategic management, along with a background in environmental and technology policy. This experience, she says, has helped her inform what the Zoo does and how they can effectively communicate their vision and mission to the Rochester community. When Reed Sanchez started her new position, she says one of the first things she did was meet with local community leaders, asking them all the same question: What do you think the brand of the zoo is, and what do you think the zoo’s role is in the community? The responses were overwhelmingly similar, and not entirely unsurprising. The Zoo’s steps to redefine themselves and become relevant to their community now and in the future has led to their latest venture – a five-year capital campaign, “Wilder Vision” that began in 2017. The goal of the campaign is to raise $60 million to fund an “awe-inspiring transformation” that would expand the Zoo by four acres and increase its footprint by 20 percent. The campaign began with a commitment from Monroe County’s of $37 million. 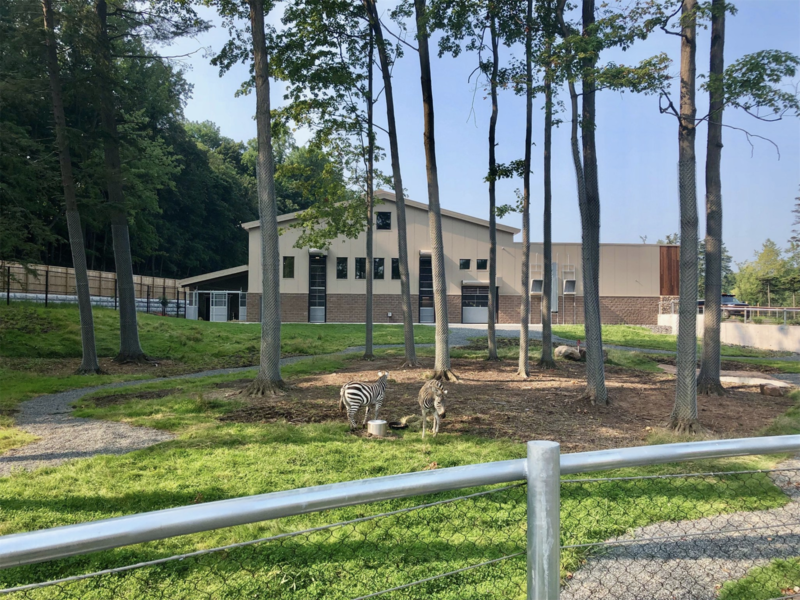 The Seneca Park Zoo Society will be raising the rest of the funds, with the board committing to raise 100 percent of the remaining money for the expansion. 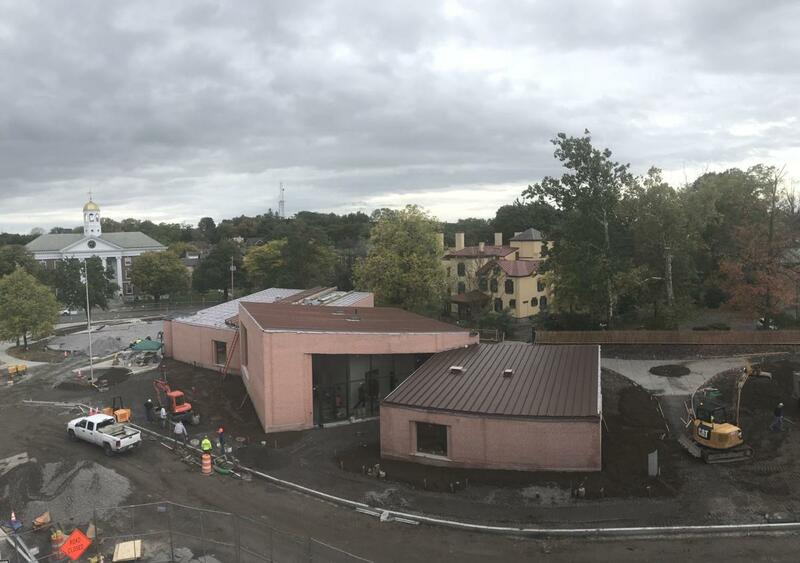 The Zoo has already begun this exciting transformation, adding state-of-the-art habitats like the new “Animals of the Savanna” habitat to house new species, opening on September 13. Between now and 2022, the Zoo will also demolish the original Main Building (built in 1931), construct and debut a new cafe, begin tram service, and open another main habitat and brand-new guest services facilities. This instillation of pride in the Zoo and in the unique culture of Rochester is part of what Reed Sanchez and her staff are capitalizing on with the radical transformation underway right now. 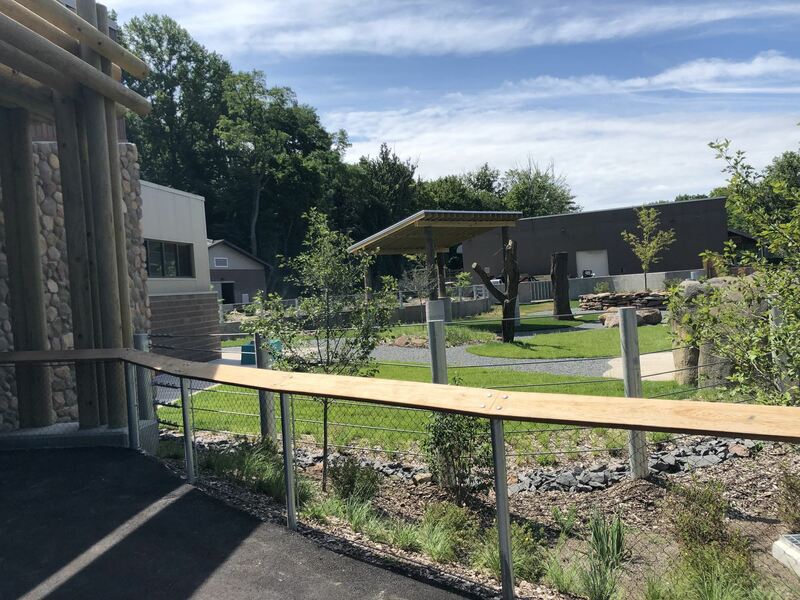 By modernizing their identity and expanding their footprint, the Seneca Park Zoo is redefining what it means to be a zoo. Words by Sarah Heikkinen. Photos courtesy of the Seneca Park Zoo.